Progressive pressing achieves a variety of processes such as hole, curling, and curving processing with a single die, making it a commonly used processing method in mass-production. 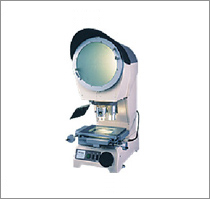 Our company creates a variety of thinner, slimmer, and smaller multifunctional parts. We excel at processing of spring materials such as SUS304, SUS631, phosphor bronze and beryllium bronze, particularly at a thickness of 0.03 to 0.5. 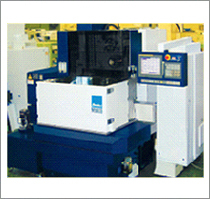 The Wire-Cut EDM plays an important role in increasing the speed and accuracy of press die unit creation. Our company's unique knowledge allows us to make possible sub-micron order processing. Our company's original technology makes possible press products using durable and light materials such as magnesium titanium. Being the lightest among the practically utilized metals, magnesium is commonly used in automobiles and cellular phones, while titanium alloy uses its corrosion-resistance and high specific strength in an increasing array of fields such as medical equipment, leisure products, communication engineering equipment, and automobile components. With the combination of a press and cutter, the combined press enables high-accuracy, complex three-dimensional processing, with increasing use in medical and manufacturing instrument fields. The technology allows us to provide manufacturers of assembled products with the essential value engineering and value analysis. Nearly unlimited demand is expected for the two major components of mechanical elements, press and molding parts. With our exclusive knowledge of presses, we imbue the designs and construction of molds with new technology, which also contributes to reduced cost for the manufacturers of assembled products. 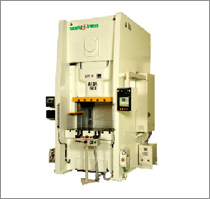 The driving forces behind our array of accurate processing press technology are mold designs and mold production technology rooted in rich experience. Starting with the drafts from our customers, we create designs achieving the desired quality and affordability. 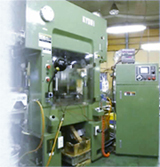 Each of the engineers at Kyowa Hearts works with confidence, maintaining high product quality. We deliver products with the assured quality established by ISO9001 certification, and product environmental quality meeting the guidelines of the JGPSSI (Japan Green Procurement Survey Standardization Initiative). Copyright(C)2010 Kyowa Hearts Co., Ltd. All rights reserved.